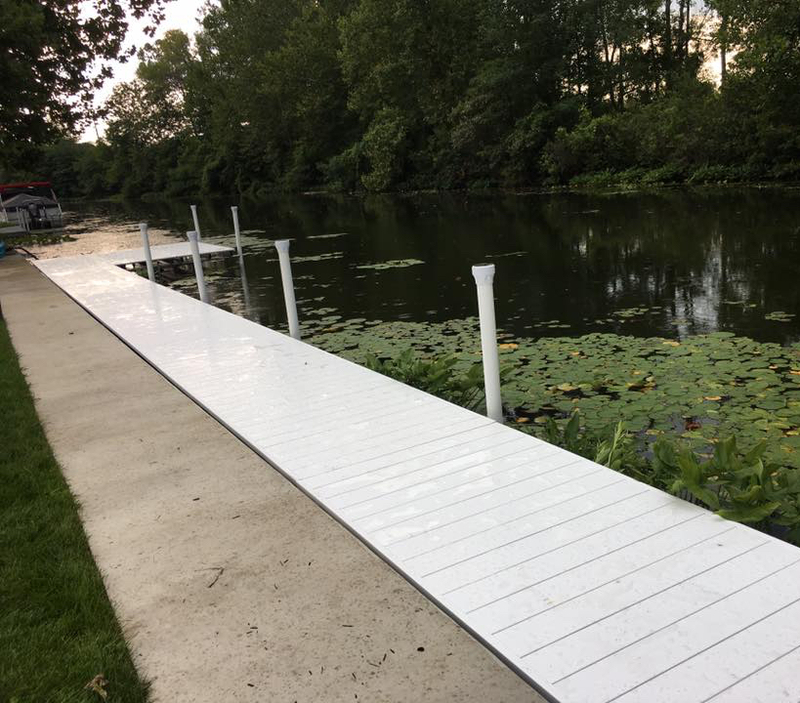 Treated Wood or Vinyl Piers provide multiple design options to fit your waterfront. We offer free quotes and design options to fit your needs. 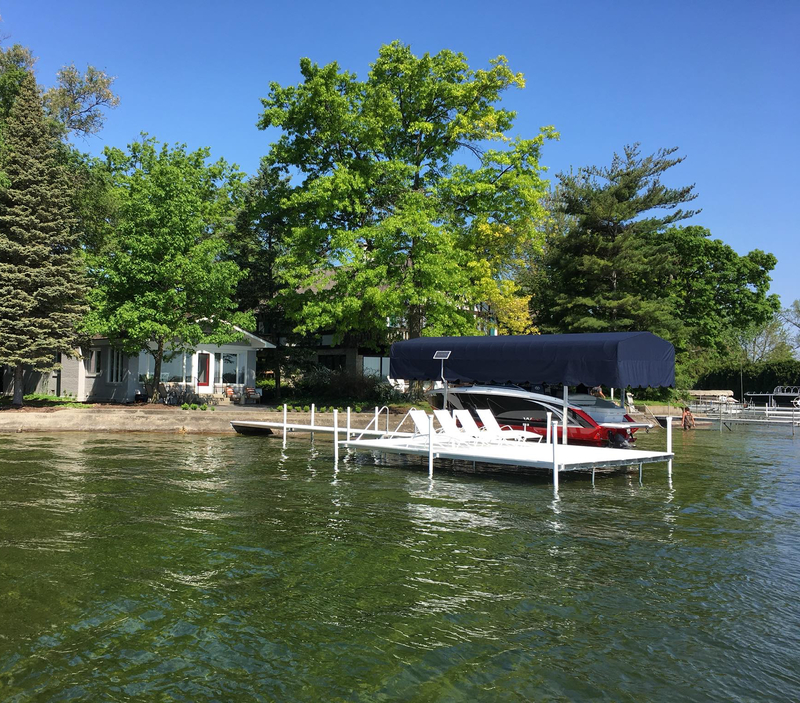 Harbor Master Boat and PWC Lifts provide multiple options for your boat or personal watercraft. We offer free quotes to see which lift or PWC lift will meet your needs. 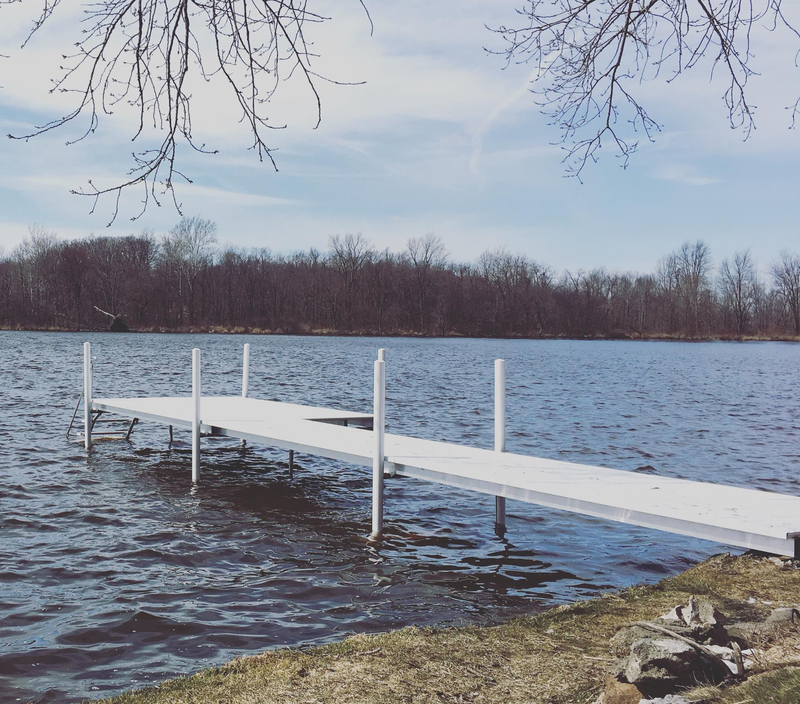 Installation and removal of Piers, Boat Lifts and PWC Lifts—Mohawk Pier & Lift provide seasonal services on most lakes in the surrounding area. Socket Conversion-providing complete conversion of auger style piers to sockets. 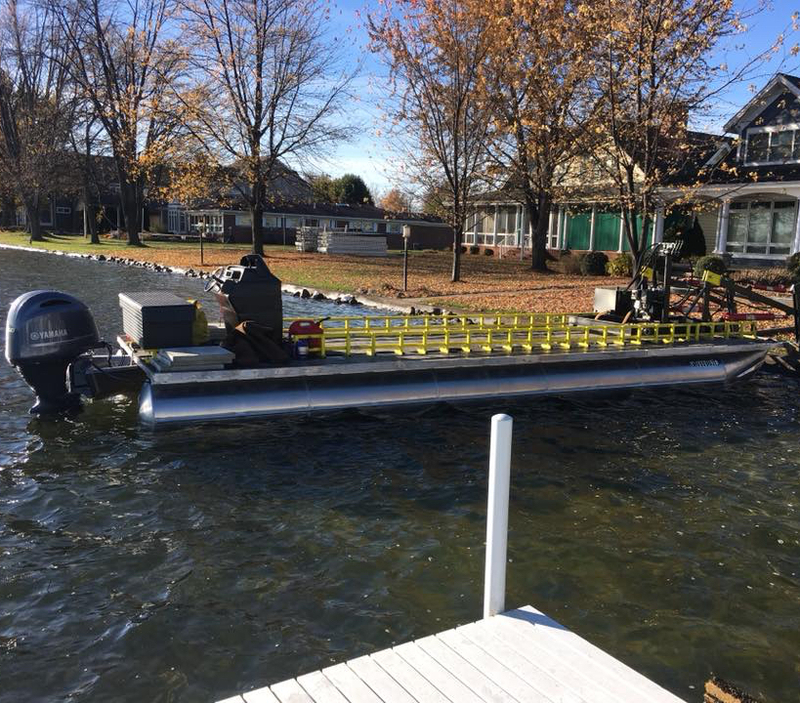 Service and Repair-providing general service to existing docks and boat lifts. Only 4-1/2 inches of water needed, plus the draft of your boat. Allows for shallow water pickup. Use lift in areas that were previously unusable. Lifts faster because it is alway raising at a constant angle. Only lift with slant on lift design. No pivot point, allowing your boat to lift easier and faster. Cradles boat 6 inches higher than typical cantilever designs. No bed flotation with bunks and steprails. Comes with harbor masters high torque winch. Winch may be placed on either side of lift depending on your needs. No full length top tubes means no ducking to get on your boat. Available in up to 8000 lbs capacity. 7' side frames for a more precise wheel to dock position. 125 feet less cable than a vertical lift would have, meaning less opportunity for wear and tear. The lift frame supports weight of boat also reducing wear on cable. All moving parts are out of the water when the boat is raised. Greasable rollers for a longer life. All pulleys have sealed bearings. Harbor Master PWC lifts offer different models to fit your needs. We have different models available for fishing boats, paddle boats and other personal watercraft. Made with high quality, marine alloy aluminum. Aluminum wheel for effortless raising and lowering of the lift. Bushings incorporated into the pivot bolts giving them an even longer life. Adjustable legs allow you to set the lift to fit your needs.